With the tremendous growth of the online market, website design becomes more and more competitive and graphic designers are on the hunt for new tools that will provide them with significant advantages. In this post we will review: Webydo, a new free platform for web design that provides designers with a full solution for professional web creation. Graphic designers whishing to create HTML websites for their clients, confront a few common challenges. First there are quite a few technological barriers. For instance, to create a functioning website the graphic design needs to be converted into HTML code. This process is slow and expensive and in most cases, demands hiring an IT professional. Second, designers need to handle the endless dialog with their clients, not just regarding the one-time creation of the client’s site, but also the ongoing management and maintenance of the site Webydo provides an integrated solution for both these challenges. Using Webydo you can create fabulous websites and then manage and update these sites in an efficient and relatively easy manner. In order to create a professional, custom tailored website, designed specifically to fit the needs of the site’s owner, designers need to convert their graphic design into handwritten code. This time consuming process can eat up to 70% of the site-building budget. Webydo, provides designers with sophisticated online software that allows designers to design freely, with an open canvas, without writing one line of code. 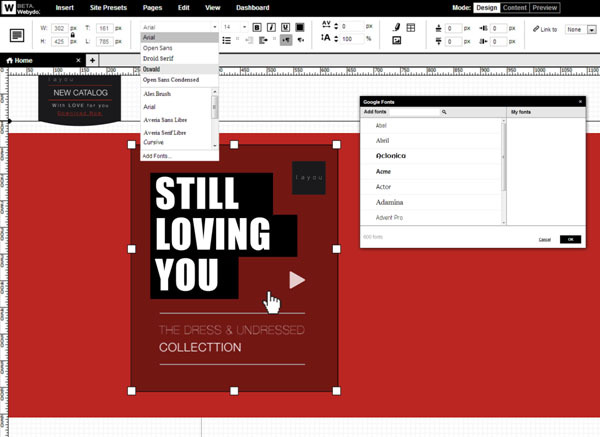 Webydo offers familiar graphic design tools such as grid generators, layers window, smart guides, ability to insert images, videos, galleries, menus, forms, widgets, eCommerce, and many more professional tools all with pixel-perfection in a friendly WYISWYG (What-You-See-Is-What-You-Get) environment. With the drag and drop elements, the system converts it into a W3C valid code automatically. Using Webydo, designers can handle the whole process on their own with total independence, saving the costs and efforts of programming a code. There other website building platform available in the market (such as Squarespace or Weebly), but these solution offer only limiting do-it-yourself templates that do not give much scope for creativity. Webydo provides a very elegant web design solution for professionals. Websites demand constant updating of their content, adding new texts, updating images, adding new products, new sales, new blog entries, etc., etc. This content management demands an endless interaction between designers and their clients, and it can lead to hundreds of emails and hours of meetings. Yet, the content management of a website is critical for its success. With Webydo, updating a site is simple and easy. Webydo offers a fully integrated content management system (CMS), that allows designers and their client’s .to update and create fresh content without messing up the design of the website. More than that, Webydo’s content management system is as simple to use as editing a word document and it includes other essentials. SEO management tools that help optimize the performance of the site and its position on search engines and site analytics features. A dashboard is also provided so that website designers can manage several websites at the same time. It is very easy to publish fresh content or design a website from scratch through Webydo. The graphic designers and website designers have to just drag and drop the design elements to the canvas, and simply click on “Publish” to publish the website online, immediately. There is no other set up required. The powerful hosting system of Webydo is cloud based, which ensures high performance delivery, stability, reliability and security for the website. Enterprise level database security measures are provided for the hosting network to protect the websites from hackers and disruption of services. The website is duplicated to a large worldwide network of servers so that the website delivery is optimized. Moreover Webydo provides fast servers, automatic backups to ensure availability of data and custom domain if needed. The Webydo platform is offered to designers of all kinds, free of charge, and designers can create as many websites as they like on a Webydo sub-domain for free. When publishing the client’s site on domain the client or the designer can purchase a premium plan (currently at $7.90 a month). 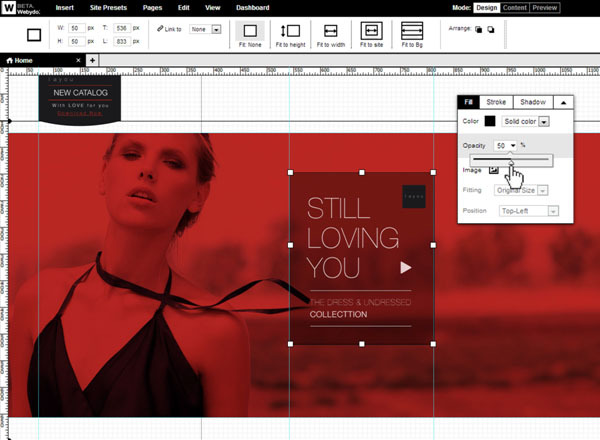 Webydo’s system is created by designers, for designers. The Webydo community of designers takes part in setting up the goals for the system development. Designers set the development plan for the Webydo team, suggest new features and voting on the development priorities. This process puts designers needs at the center, like in no other platform and it ensures designers have everything they need. Website design is an innovative and fast changing field. 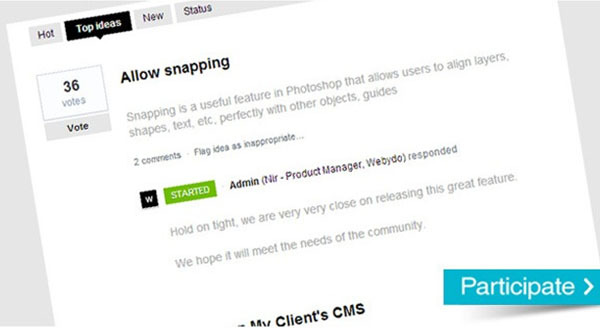 Webydo’s free platform gives designers a great advantage in this competitive field. Webydo is a great way for designers to create and update sophisticated HTML websites, while having direct communication with their clients and without writing code. 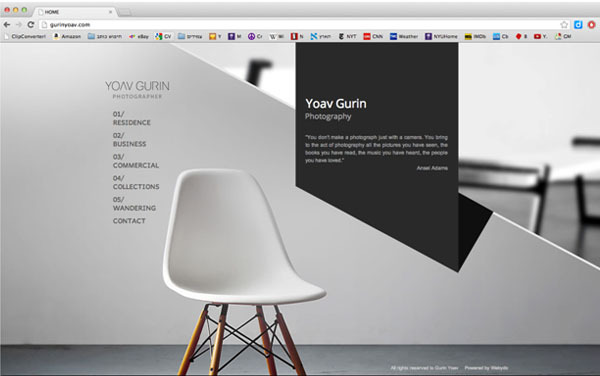 Graphic and web designers should defiantly check out the Webydo platform. Thanks to Graphic Design Junction for this fantastic review of Webydo. They created a clear understanding of what Webydo is and how it can be used to benefit designers. Since Webydo was made by designers, designers will feel right at home with familiar features and tools so they can design a pixel perfect website! Looking forward for more excellent work to come! Wow, impressive. I like the immediecy, it saves a lot of time as there’s no need for prototyping and the long back and forth interactions with the developer. I also like the development by designers.